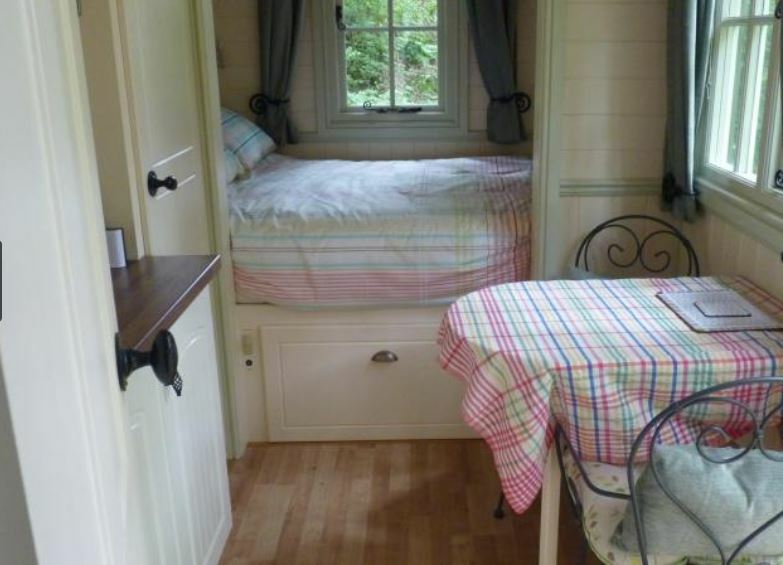 Just outside Ledbury and surrounded by the owner’s land, this Shepherd’s hut makes the perfect, romantic retreat for two. 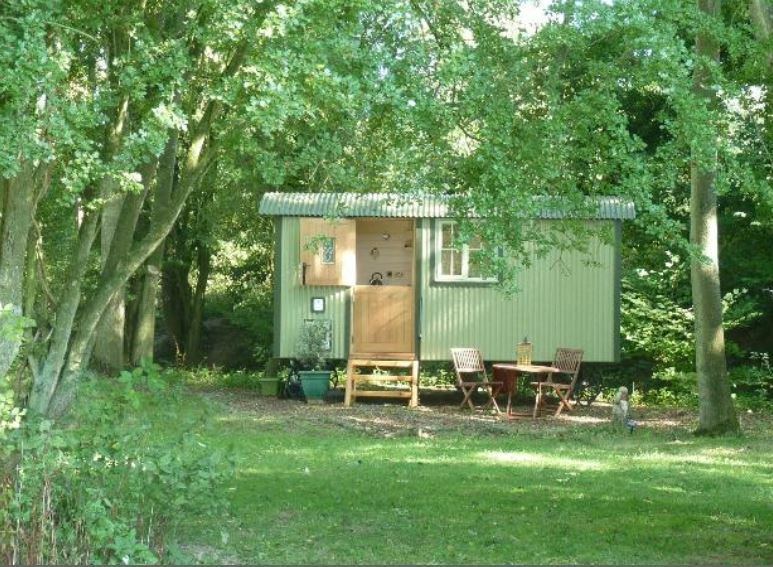 Cosy and on its own with none of the distractions of city life. 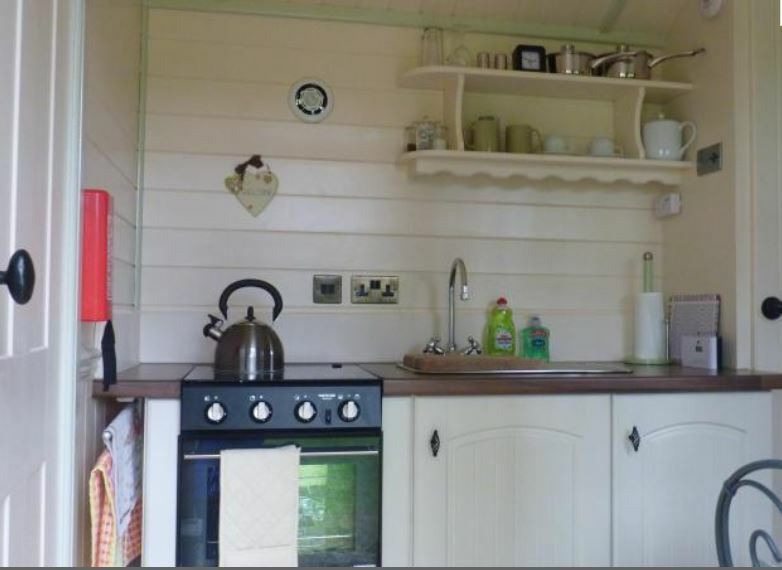 Inside you will find a kitchen area with gas cooker, fold down table and a full size bed. Power is supplied via solar panels so laptops and phones can be charged, but hairdryers cannot be used. There is a separate, heated, shower room. Outside there are tables and chairs and a fire-pit. Sit and enjoy the wildlife in the woods and pond, watch the stars and contemplate life. To book Shepherds Retreat, click HERE.